When we inspect a property, you can rest assured if there is something to find, we will find it. Reliability and honesty are our mission, and our reputation is evidence of our commitment to ethical inspections and reports. A home inspection is valuable tool for determining the condition of the home you are purchasing including the exterior, roofing, electrical, plumbing, foundation and mechanical systems. Read More. 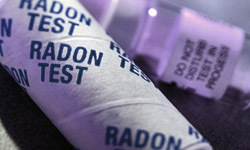 Radon exposure is the second leading cause of lung cancer in the U.S. This accounts for around 21,000 deaths each. Do you have a radon issue? 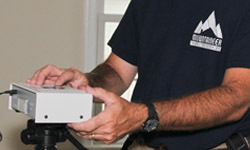 Call us test to schedule testing of your home. Read More. 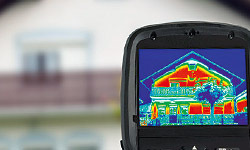 An infrared camera is used to distinguish minute differences in temperatures. It is useful for finding moisture, air leaks and heating/cooling issues. Give us a call today to help you solve your energy related concerns. Read More. How much mold is too much in your home? 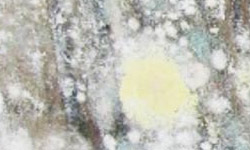 What about black mold? Give us a call today to discuss your mold concerns and how we can help. Read More. Planning to buy, sell or build a home in Bridgeport, WV or the North Central WV area soon? If so, we highly recommend investing in a home inspection to ensure there are no surprises along the way. More importantly, your inspection should be conducted by an experienced and reputable company like Mountaineer Inspection Services. From in-depth home inspections to radon testing, mold testing and even infrared thermal imaging, we can be your go-to for all of your real estate home inspection needs. At Mountaineer Inspection Services, our professional home inspectors are licensed, insured and certified by the American Society of Home Inspectors (ASHI). That means you won’t have to worry about a thing when you choose to contact us all of your home inspection needs here in Bridgeport, WV. We’re committed to providing you with a thorough inspection and an easy-to-understand report. We pride ourselves on our reliability and honesty, and we know that our reputation is on the line each and every time we perform a home inspection. Mountaineer Inspection Services covers all of North Central WV, from Morgantown to Fairmont, Clarksburg to Bridgeport, and beyond. We offer convenient hours and can provide you with a detailed inspection report in just 24 hours in most cases. Are you ready to schedule a home inspection? Call Mountaineer Inspection Services at (304) 709-3200 to learn more about all the home inspection services we offer in Bridgeport, WV, or click the button below.